International buyers, particularly Europeans, are continuing to purchase sporting estates in Scotland, not only due to the fall in the value of the pound but also because they see them as sound long term investments. Overall 2017 has been a quite year for sales in the estate sector with only 12 sold compared to 24 in 2016, according to independent property consultancy Galbraith, but the firm says this is due to lack of supply rather than a lack of buyers. According to Anna Henderson of the Galbraith Premium Property Department, uncertainty over Brexit and the general political and economic situation has made owners think that perhaps thinking there will not be demand for their properties. ‘When estates do come up for sale however, there has been interest from both home and abroad, and we have seen one large Scottish sporting estate acquired by a Russian, the first time they have been active in the Scottish market for more than a decade,’ she pointed out. Galbraith has been involved with 63% of all Scottish estate sales this year, assisting clients with either selling, buying or valuing both on and off-market opportunities. A quarter of all the estates sold in 2017 to date have been off-market, the same as in 2016. The average sale price in 2016 was £3.4 million. To date in 2017 the average sale price remains quite similar, at around £3 million. Coastal or waterside estates tend to command a premium, with recent sales achieving as much as 35% above the asking price. ‘Scotland is one of the few places in Europe where large areas of wild land can still be acquired for either sport or conservation. For those looking for natural beauty, affordability and privacy, there is nowhere else that comes close. Scottish land also represents extremely good value for money, Henderson pointed out. Estates can represent good value for money, according to the firm. 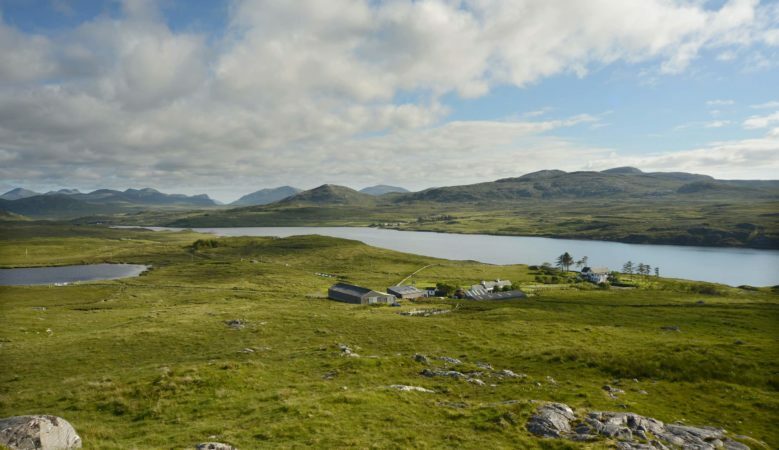 Currently it is possible to buy a sporting island estate with red deer stalking, grouse, woodcock and snipe offering salmon, sea trout and coastal fishing and a farm totalling 5,000 acres of land for £2.5 million. Sporting estates in Perthshire are also popular. One sale currently going through includes 5.5 miles of double bank salmon fishing rights on the River Lochay, deer stalking, 1,306 acres of newly planted woodland, brown trout fishing, a livestock farming business and the potential for grouse shooting with an asking price of £4.2 million.